© 2018 Whitney Smith. All Rights Reserved. Thrilling sound. Amazing singers. Classic big band made new. To hear some music of the band, see Music & Video section. The Big Steam Band is now booking jazz festival tours in Europe featuring DK Ibomeka. 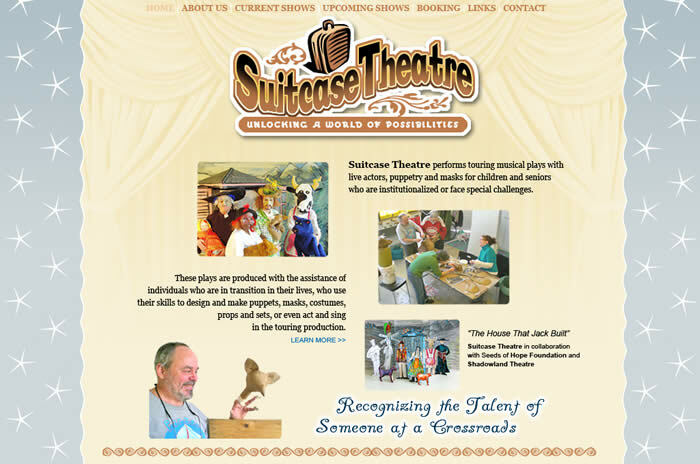 Suitcase Theatre is a new musical theatre company that has a two-fold purpose: to entertain disadvantaged children and institutionalized seniors while also helping to rejuvenate the creative talents of adults who are at a crossroads in their lives. Our plays are developed with the hands-on assistance of individuals whose lives are in transition. At educational workshops we focus on nurturing the talents of people over the age of 50 who are indigent, homeless, or socially isolated. By recognizing their gifts as designers and makers of puppets, masks, costumes and props, we provide an opportunity for these individuals to be rejuvenated in a community setting. Suitcase Theatre’s target audience is emotionally vulnerable children and older adults who live on the margins of society or in long-term care facilities. 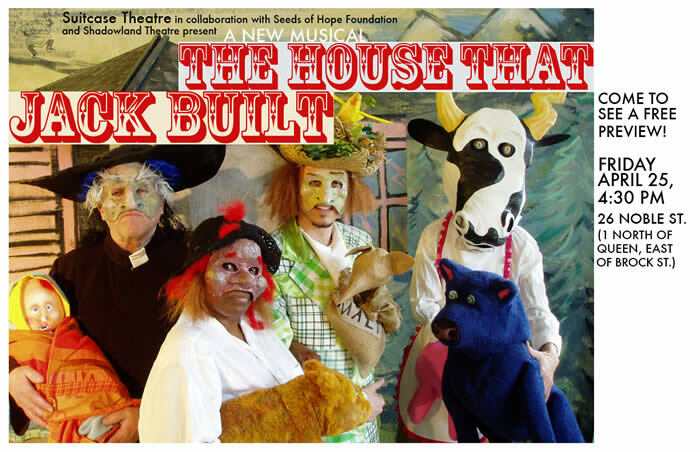 Our inaugural show, The House That Jack Built, based on the nursery rhyme, was received with much acclaim by each of the audiences that we performed for: intellectually disabled adults, multi-exceptionality high school students, culturally-isolated elementary pupils and institutionalized seniors. Our shows incorporate a boldly visual style through the use of masks, puppetry, colourful costumes and props — and live music. Each performance relies on a combination of simple low-tech and traditional theatrical tools, such as poetic imagery, dramatic storytelling, and songs that propel the characters strongly forward in the action. There are two to four actor-singers in each show. A keyboardist delivers a rich accompaniment to the story. Our rhythm 'n' blues, pop, funk, rock 'n' roll and soul band. If you have an event where you want the kind of go-crazy-on-the-dance-floor scene that plays this music authentically and with real power, this is the band for you. No one has had a so-so reception to Electric Steam. See Testimonials for what our clients have to say about this powerhouse dance party band. See information and hear tracks of our jazz band, Sextet à Tête.